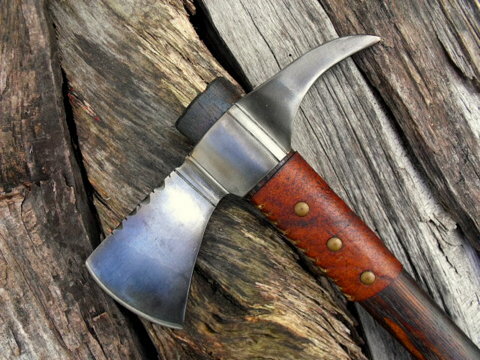 Quality Custom-Knives, Tomahawks and Trade Axes - Hand-Forged Period Reproductions. As a full time bladesmith, I specialize in hand forged reproductions of period custom-knives, tomahawks and trade axes that were used in the 1700-1840 period. My period custom knives and tomahawks look like they were made centuries ago because they are hand forged in the traditional way with a hammer and anvil. And of course, one at a time. All of my custom knives, tomahawks and trade axes were hand forged in my shop. 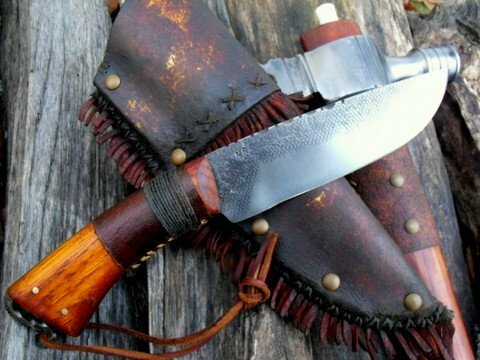 Occasionally, I forged "modern" custom hunting knives and bowies, plus traditional woodworking hand tools such as broad axes, froes, hand adze and chisels. 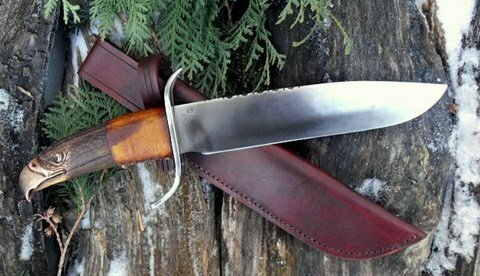 Most of my custom-knives, tomahawks and axes are one-of-a-kind pieces. And even special orders of two of the same design, no two will be exactly the same. Each piece will be unique. All are functional working pieces and are differentially heat treated. 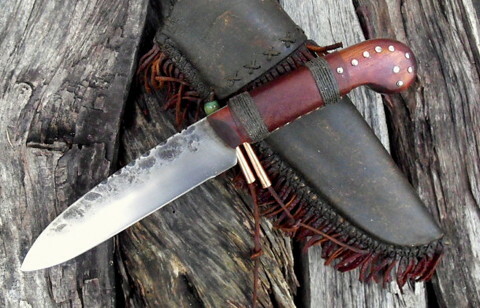 Whether your interest is in rendezvous, re-enactments, historical trekking, or if you want a great knife for hunting, fishing and camping, I am confident that you will find it in my website. How We Make The Finest Custom Handcrafted-Knives, custom-tomahawks and trade-axes for Historical Re-Enactor, Mountain Man, Hunters All Lovers Of The Great Outdoors. 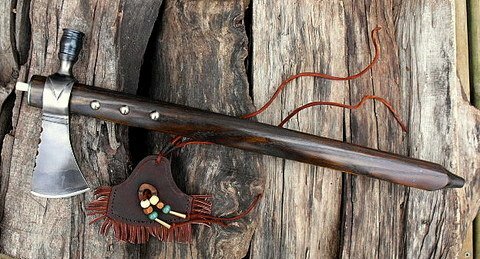 Custom-tomahawks, Gallery of past works. Black powder, muzzleloaders and reenactment accessories. Fire-strikers, powder horns and other accoutrements for the black-powder and muzzleloaders. 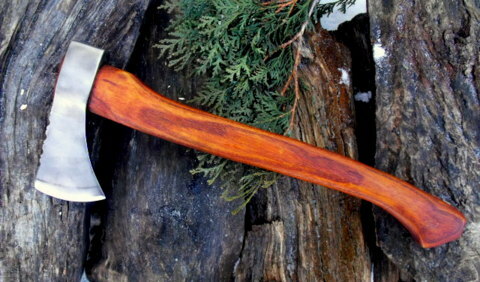 Custom-tomahawks, and hand-forged trade-axes, knives special order page. 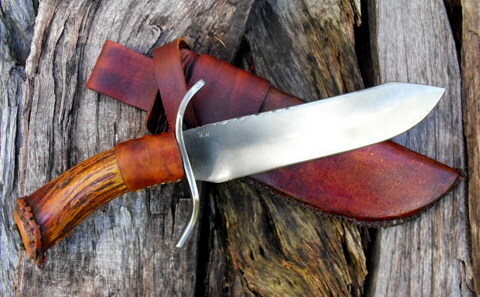 Order - Contact for our custom-knives, tomahawks, trade axes and period knife. Links of interest for the reenactor, buckskinner, mountain man and the living history enthusiast.